Leveraging on our enriched industry experience, we are engaged in manufacturing and exporting a huge gamut of Nickel Alloy Circles. We are offering Cupro Nickel Circle to our client. 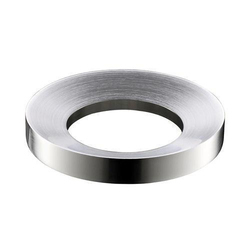 Prashaant Steel is one of the leading stockist, supplier & Exporter of Nickel Circles. 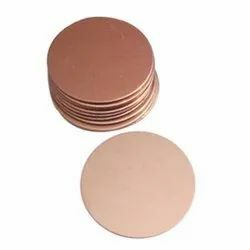 We offer Cupro Nickel Circle to our clients. We are offering Nickel Circles to our valued patrons. These are extensively used in chemical, petroleum, atomic, printing and dyeing industries. These have outstanding mechanical characteristics and are manufactured in state of the art manufacturing facilities. Our patrons can avail these in different specifications. We at Siddhagiri Metals & tubes are known as specialist in Nickel 200 Forgings, 75% of our customers are associated with us for their regular requirements of Nickel 200 Forgings, many suppliers from China also procures Nickel 200 Forgings from us because We have the specialization & 28 years of experience to manufacture Nickel 200 Forgings .